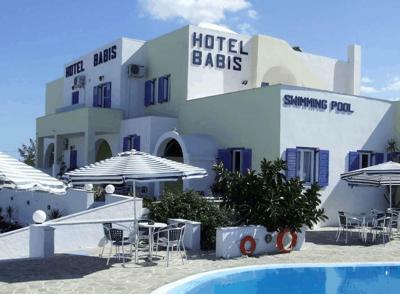 Lock in a great price for Babis Hotel – rated 8.7 by recent guests! Stuff are very friendly and helpful, they offer airport shuttle for free, and even you check out the room, you don’t worry about shower, still you can take shower in public washroom before leaving, it’s really nice. Thank you so much. Staff very friendly the hotel is near to Fira and If you need, the staff provide cars and bike to rent. The owners were very receptive and welcoming. As soon as we arrived they help us to rent a quad and also explain everything we need to know about santorini. It was a great experience. We reached way too early, still Babis let us check in. Also were offered with a welcome drink. It is a steal for the price. The location is a bit far from the center but we rent a motorbike so we had no problem about traveling or you can walk to the Bus stop . 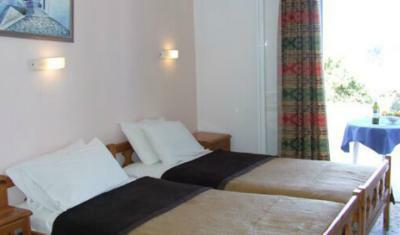 The room is clean and good value for money. There is pick up service from the airport. We had an early flight on the day back the owner took us to the airport by himself . He is a very nice guy. The staffs are helpful. There is bus stop , coffee shops , supermarkets on the way to Fira. A little bit walk but not so bad. We did walked from Fira back to the hotel on the last day we returned the motorbike back. I recommend this place if you want the room is good value for the money and you can save your cost for food ( so expensive at Santorini) and traveling like rent motorbike, ATV or car. Really good choice. We loved the way the owner treated us. He was very helpful and kind. 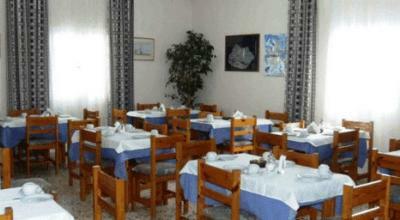 The hotel is clean and you have very nice bakery 8 min and amazing restaurant 10 min walk from the hotel. We want to come back there. The staff were very friendly and accommodating. The airport shuttle was really great. The price is very affordable compared to other places. One of our best sellers in Karterados! 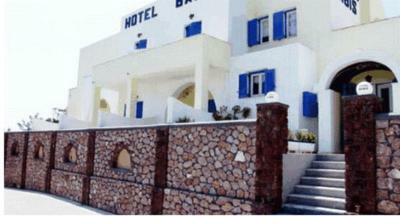 Located in scenic Karterados, in Santorini, family-run Babis Hotel features a pool and free airport or port transfer. The hotel offers breakfast and free WiFi. 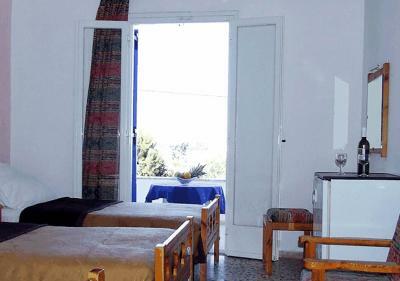 Each room with attached bathroom at Hotel Babis has air conditioning and a fridge. Radio and TV are included. 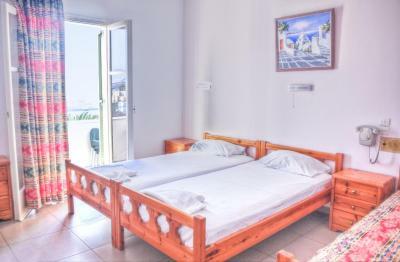 All rooms feature a furnished balcony and some overlook the swimming pool. Breakfast including local honey and pastries is served in the dining room. There is also a pool bar that serves drinks and coffee. Staff at the 24-hour front desk can arrange car rental and offer information on local attractions such as Exo Gialos Beach 2.5 mi away. Free private parking is available. This property is also rated for the best value in Karterados! Guests are getting more for their money when compared to other properties in this city. This air-conditioned room opens to a furnished balcony. A fridge, TV and radio are included. 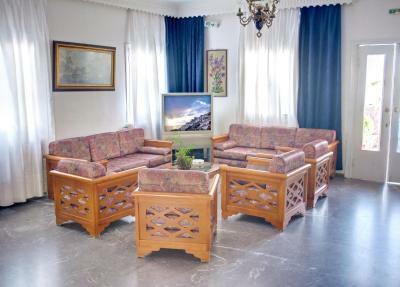 This air-conditioned room is spacious and opens to a furnished balcony. 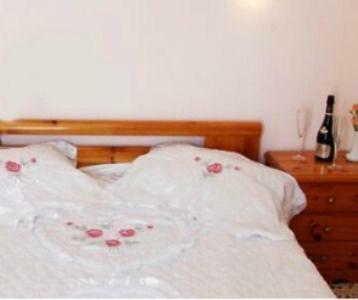 It consists of a separate bedroom area fitted with 2 single beds. A fridge, TV and radio are also included. 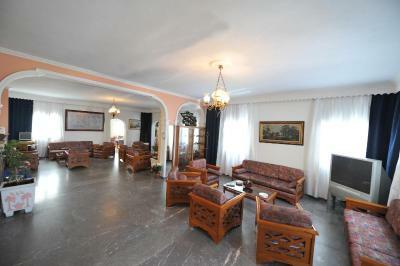 Please note that the property offers free transfer from the airport or port. Guests who would like to use this service are kindly requested to let the property know their arrival details (time, flight/boat) mat least 3 days in advance. Contact details can be found on the booking confirmation. 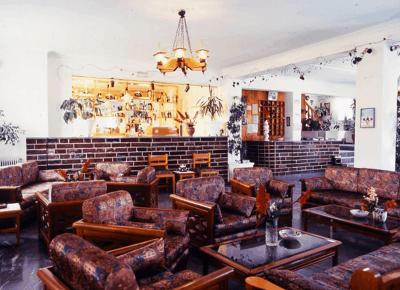 Pick up and drop into the airport, near Fira central bus station (15 minutes walk). Family run business. Extremely hospitable people. They arranged a rental car to be brought to the hotel. 5 Euro breakfast was perfect. Clean and quaint. Great value and would definitely recommend and we will return. The owners are really kind. The pick up service is excellent!! To get to the main entrance on foot, there are about 50 meters of road without a sidewalk which feels a bit dangerous! We felt very welcome because we arrived before the check-in time and could access the room. It was very useful that they took us to the airport without any extra cost. What a lovely Man Babis is, so helpful and bent over backwards to find another room the following day as we decided to stay on the island for another day. Collection at the airport at midnight a bonus. Thank you for your kindness Babis. Very basic room and bathroom. Very noisy at night from the busy road, dogs barking and a local rooster. Also unlucky to have a couple sitting on their balcony near our room, arguing loudly into the early hours. All of which the hotel has no control over of course. Friendly helpful owners. Nice comfy lounge area. Great pool. Good price. The staff was so friendly, helpful and gave us ride to the AirPort. You felt very welcomed there. The breakfast was good. The bus stop was just outside. You could walk to Fira town. There is a little bit of a smell coming from the bathroom. This hotel is good value for the money. 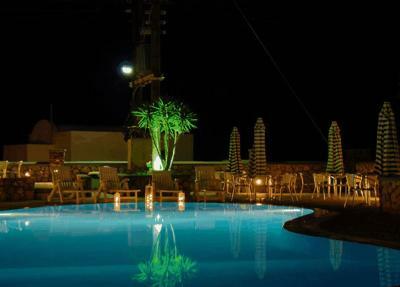 The location is 10 min walk from the center town of Fira. We were met at the Ferry by the owner's father who took us to the hotel (saved 30 Euros). We have asked for a room with a nice view and the owner changed it for us, no problem. 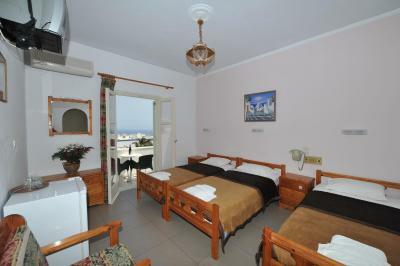 The room was basic but enough for somebody who wants to visit Santorini. We had two minor issues in the room and the father had fixed them right away (very efficient). He is a very nice guy! We have appreciated very much that the owner had arranged for our drop-off at the airport by a cousin, because he had to go to pick-up somebody else at the Ferry. There is a bakery close by, with nice pastries, baklava and coffee. The hotel provides a good breakfast.